As a group, senior citizens are often the most vulnerable -- and defenseless -- in our society. As our senior population continues to rise, families increasingly turn their trust to nursing homes, with the expectation that these facilities will provide quality care for their loved ones. Unfortunately, nursing home abuse and neglect is all too common. Our Boston personal injury lawyers have seen firsthand the physical and psychological injuries that occur when these facilities fail to provide that care. Our attorneys are aware of both the state and federal laws and regulations that strictly govern the management of these facilities and the treatment of their residents. Contact us immediately if you feel you or a loved one has been the victim of neglect or abuse at a Massachusetts nursing home or assisted living residence. 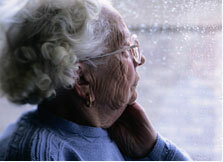 According to many reports, the majority of nursing home abuse and neglect cases go unreported. It can be unthinkable to imagine that the very people who dedicated their lives to raising us, nurturing us and preparing us for adulthood are now being abused and neglected. This abuse can take many forms—physical, emotional, mental, financial, and even sexual. Nursing home regulations are comprised of a mixture of federal and state laws. Nursing home residents in Massachusetts have a right to sanitary and safe living conditions, proper medical care, physical necessities, and freedom from abuse and neglect. Under federal law, a nursing home "…must provide the necessary care and services to attain or maintain the highest practicable physical, mental, and psychosocial wellbeing [for each resident]…"
Massachusetts regulations, developed by the Department of Public Health and Massachusetts Attorney General, further secure these rights. Unfortunately, these guidelines are often ignored, at the expense of our elders. Often, these facilities hire repeat offenders and unqualified caregivers, sometimes knowingly, and sometimes because the fail to conduct proper screening and background checks. At Bellotti Law Group, we are well versed in this area and will aggressively pursue all legal avenues to ensure that a high quality of life is maintained for your elderly loved ones in nursing homes. The Boston personal injury attorneys at Bellotti Law Group, P.C., have successfully assisted many individuals with nursing home abuse and neglect cases. We know how to fight to ensure that our elders in nursing homes receive the care and compassion they deserve. Call 617-225-2100 to contact us and arrange an initial consultation.